•Put your castor sugar(half a cup) into a bowl. •Add a table spoon of almond essence into your mixture. •Scoop small bits of lipbalm onto a spoon and melt it with a candle. Tip: mix the lipbalm into your mixture immediately because it hardens really fast and won’t be able to blend in with your product. This DIY is however adjustable. You can use any lipbalm or oil that you want. I’ve seen many DIYs that uses Jojoba oil, food colouring and flavour but I kept mine plain and simple seeing that the Cherry Zambuk Lip balm that I used had Jojoba oil, flavour and colouring in it. I tried to stay clear of any food colouring because I wanted my scrub to remove stains from my lips and not add any. 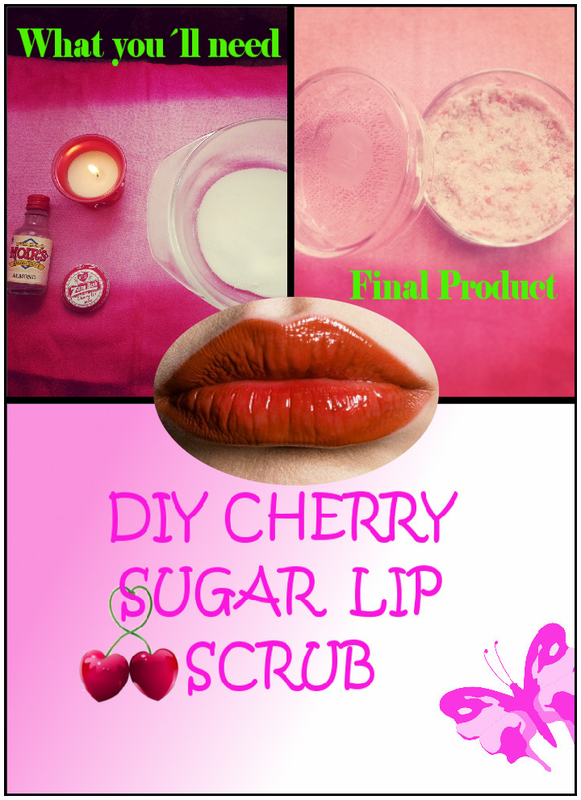 Your DIY lipscrub will also be amazing for the upcoming winter months to prevent dry chapped lips. The Zambuk in the ingredients list is for moisture and the sugar for exfoliating your lips and getting rid of all the dry flakey pieces. My cherry lipscrub is more pinker than what it appears on the picture and believe me when I say that it smells amazing! Just like sweeties. Tags: Beauty, Beauty Banter, DIY, Lips, Lipscrub, Lipstick, Zambuk. Bookmark the permalink. Exactly! I’d never pay that price. I checked the ingredient list and that’s when I decided to make my own. Mine smells better too! U have a very nice blog over here. I just wanna say thanks for all the interesting info on it. I’ll follow your website if you keep up the good work! Thanks for the auspicious writeup. It in truth was once a leisure account it. Look advanced to far added agreeable from you! However, how can we keep in touch? Hello.This article was really fascinating, especially because I was looking for thoughts on this topic last Thursday.